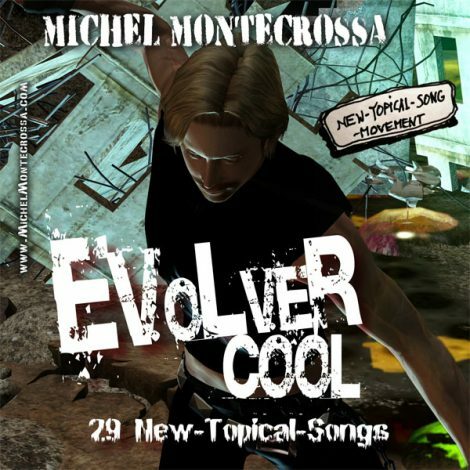 ‘Evolver Cool – 29 New-Topical-Songs & Movies’: released by Mira Sound Germany on Audio CD and DVD is Michel Montecrossa’s inimitable way of kicking the brain to think more deeply about what is happening. Bursting with life every song hits a hot spot topical with straight forward Evolver Dynamics and clear-sighted solutions. 1. Shall We Go To War Again? beyond gorillas & bananas in times of crisis. something. Action is needed for a better world. The Uncensored Interview – from ‘The Resurrection Movie’, (see here the trailer), released by Mira Sound Germany on Audio-single and DVD, is a New-Topical-Evolver-Song-Poetry-Movie by Michel Montecrossa triggered by ACTA, international war chaos and imminent butterfly effects. “‘The Uncensored Interview’ is a Cyberstyle Evolver-Song-Poetry-Movie from my musical ‘The Resurrection Movie”. Besides my statement as Cyberrocker Astronaut Starlight it includes the song ‘Shall We Go To War Again?’ and the ‘Silent Poem’ for the silent ACTA Internet. ‘The Uncensored Interview’ is stimulating thinking about ACTA, silencing the net, Syria-Israel-Iran-War-Chaos, intransparent Mega-City-Anti-Democracy Deals, Anonymous, the Silent Poem & butterfly effects. “It‘s all about the Mega-City CPR.“ ..
“Got it? A Chaos-Generator.“ ..
“Nothing against chaos, but it gets too organized. “ ..
“I throw in songs.“ ..
and it throws in energy-killing bastards.“ ..
“ .. with the end of Mega-City.“ ..
Shall we go to war again? / No, no, no, it will hasten the end: / the end of love, of makin’ friends. / The end of love, of makin’ friends. And shall we turn to hate again? / No, no, no, it will hasten the end: / the end of peace and happiness. / The end of peace and happiness. Then, why should we go to war again? / To destroy and kill in a foreign land / for a bunch of people ‘round a president? / For boostin’ business of war and crime? For takin’ away other peoples’ good time? / For makin’ them weep while their children die? / Are you a monster, a fool or just a lie? Shall we go to war again? / No, no, no, it will hasten the end: / the end of love, of makin’ friends. the end of love, of makin’ friends. And shall we turn to hate again? the end of peace and happiness. Then, why should we go to war again? for a bunch of people ‘round a president? For boostin’ business of war and crime? For takin’ away other peoples’ good time? For makin’ them weep while their children die? Are you a monster, a fool or just a lie? 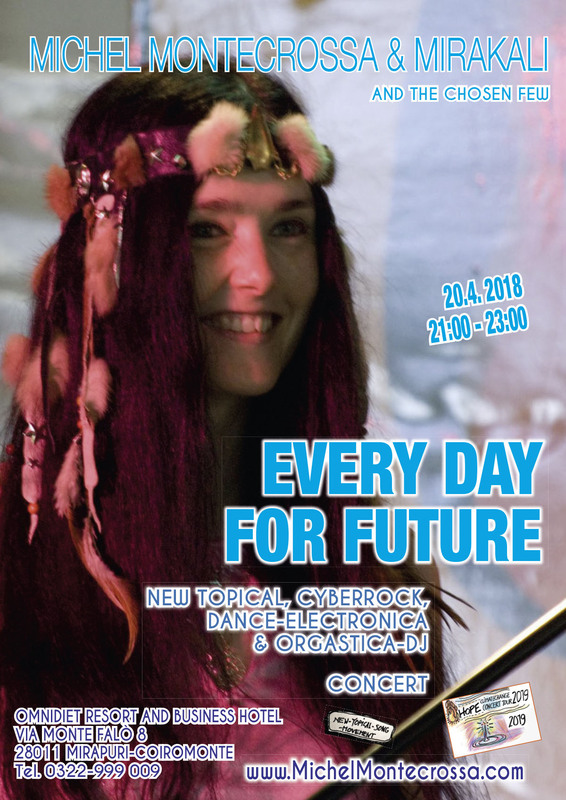 The Sunrevolution Festival is the annual presentation of the progress of Mirapuri – the City of Peace and Futureman in Europe, Italy in the domains of music, art, science & industry for an international audience. The Sunrevolution Festival offers through exhibitions, lectures, presentations, movies and concerts comprehensive possibilities to come in touch with the futuristic outlook of Mirapuri, its plans and realizations in the context of a united humanity on the way into a better tomorrow. The coming revolution is not an external but an inner revolution: The all-embracing renewal of the being from within. How can a New Consciousness come into existence? What are the conditions? What are the characteristics of its passage into matter? How can the New Consciousness become a decisive transforming factor in the world? These are the questions dealt within the Sunrevolution. The Sunrevolution shows ways into a new psychology of the soul and presents a vast synthesis of knowledge and experience for the harmonious growth of mature individual and community life. The Sunrevolution shows how expansion of consciousness leads to the creation of new ways of living and the building of Transformation Cities like Mirapuri as the beginning and expression of a planetary change from man to Future Man. The Sunrevolution shows the way into a future of peace, creativity, love and joy where all mankind will be united through progress and happiness in a world free from war and suppression. 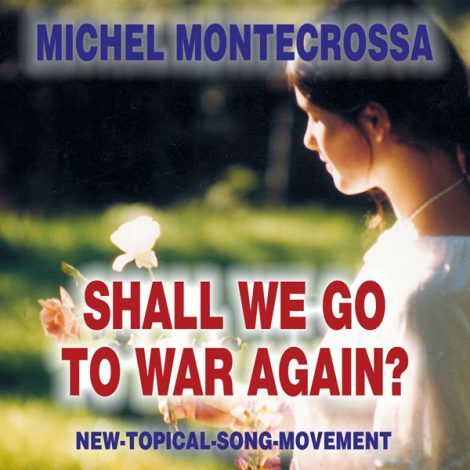 ‘Shall We Go To War Again?‘, released by Mira Sound Germany on Audio Single and DVD, is Michel Montecrossa’s New-Topical-Song-Movement Audio Single and DVD for Netanyahu Warmonger and Obama Nobel Peace Prize Winner as well as every Third World War Polito. There’s a boy and there’s a girl. They are born to be great. they have the will and the strength to move on. of winning the prize and winning it all. the loyal acceptance of decisions. they act together, master of team-work skill. It’s the ball! It’s the ball! They never miss it, they are the wonderful! They always get it and they hit the goal!